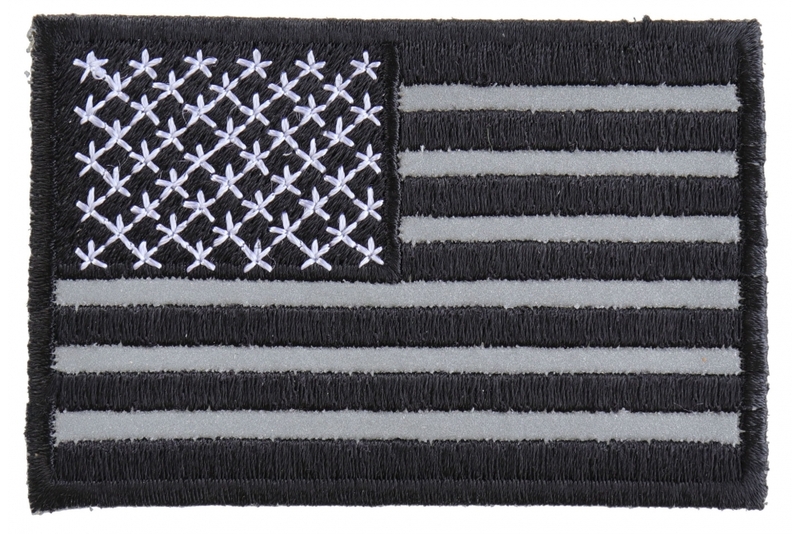 This is a reflective American flag patch that is embroidered in black stripes, white stars and reflective material stripes with black borders. 3x2 inches. Riding at night can be quite dangerous, especially if you have to pull over or get off your bike at any point. Without your bike's lights, other drivers may not be able to see you, especially if you're wearing dark clothing. That's why The Cheap Place has a section dedicated to Reflective Patches. 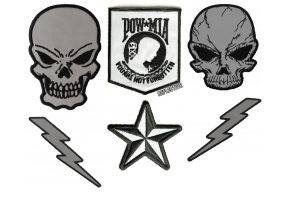 These patches make it easy to be seen at night since they shine under any lights. If you do a lot of night riding, you certainly need a few of them. 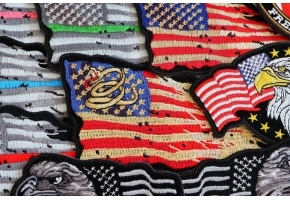 One popular patch is the Black White And Reflective American Flag Patch. 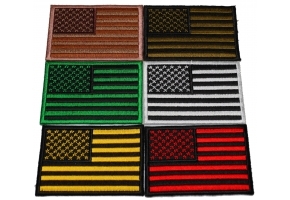 Why is this patch black and white instead of being red, white, and blue? The colors wouldn't really show up at night since the reflective thread is white. Also, some people do like the black and white version of the U.S. flag. If you'd like a reflective one that does include red and blue, The Cheap Place does have a colored version of this patch. It all depends on what you like and what looks best on your clothing. If you've got other black and white patches, you can keep that color scheme. 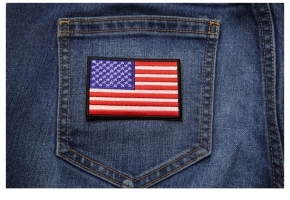 This embroidered patch measures three by two inches and features die cut borders around the edges. This makes it easy to sew it on to different items. If you're putting it on leather, you have to sew it on so you don't ruin the material. If you're putting it on anything else, you can iron it on. 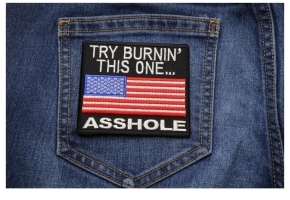 This has been one of the most sought out patches by a lot of people these days. 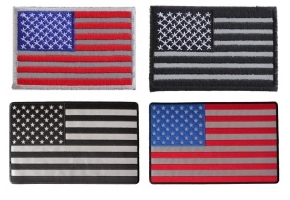 However, this patch goes well with riders because this Black White and Reflective US Flag Patch bring so much of joy to the person who wears it. Getting it stitched on a vest or a jacket can make you look really good. 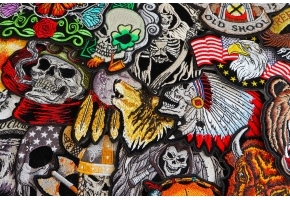 Riding and jackets go hand in hand and as a rider when you get this patch stitched either on the back or the arms of the jacket it can make you look extremely appealing. So, why not try this patch when you ride?